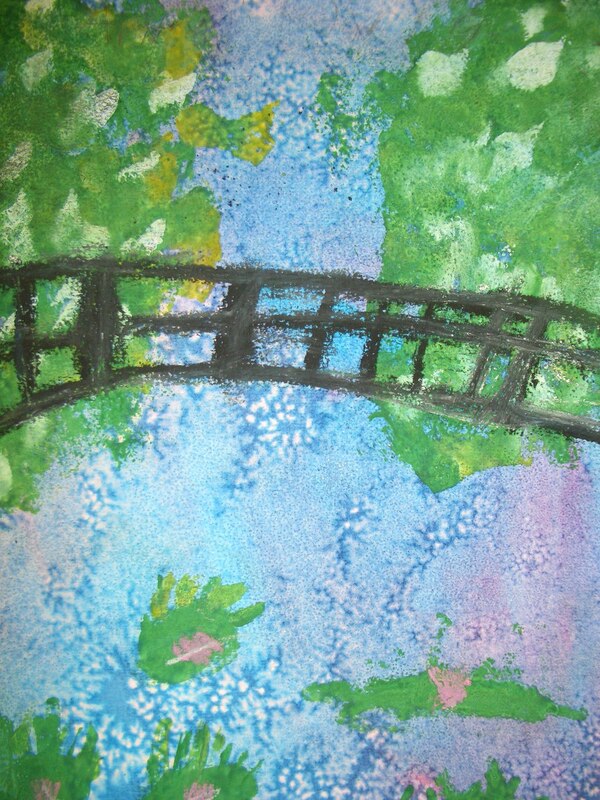 Grade 2 worked hard creating these paintings inspired by Monet's Japanese Bridge masterpiece. 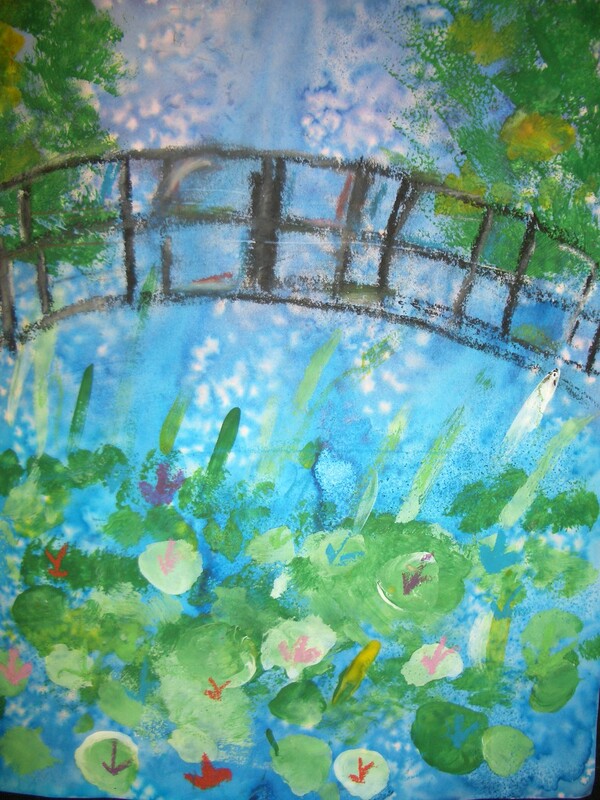 Many steps and mediums were used over a period of three art classes to complete these beautiful paintings. Beautiful artwork!! I want to be in your art class! These are so beautiful - thank you for posting them. I would love to do this with my class? Can you let me know how to step by step. They are wonderful! We started this project by using watercolor paint to create a wash for the sky and ground. While the paper was still wet we sprinkled sea salt on the paper. 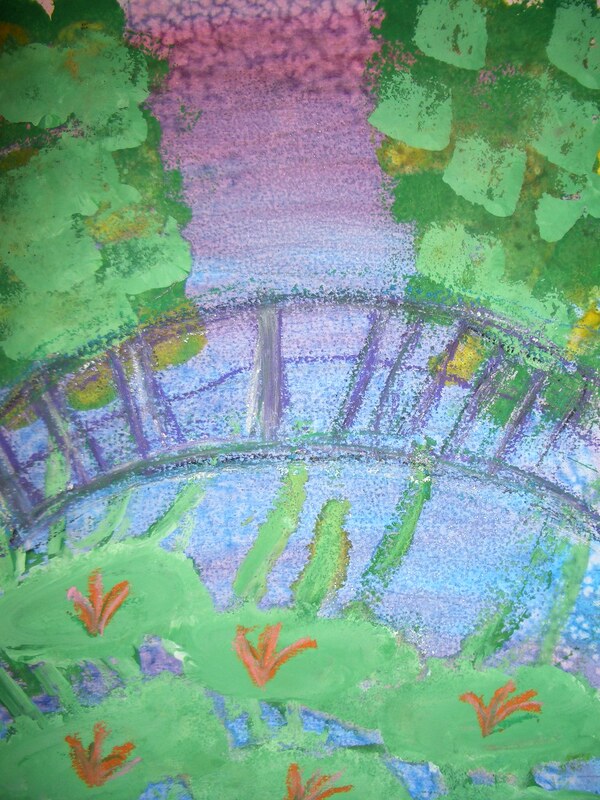 We then used sponges to create the trees in the background and the lily pads in the foreground. We made sure to layer our paint using highlights and shadows. 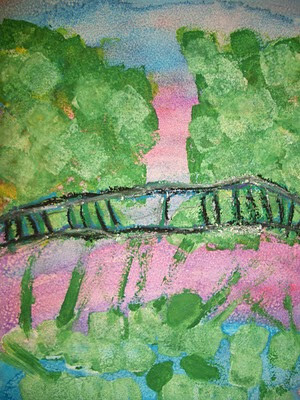 Oil pastel was used for the bridge. Hope this description helps. 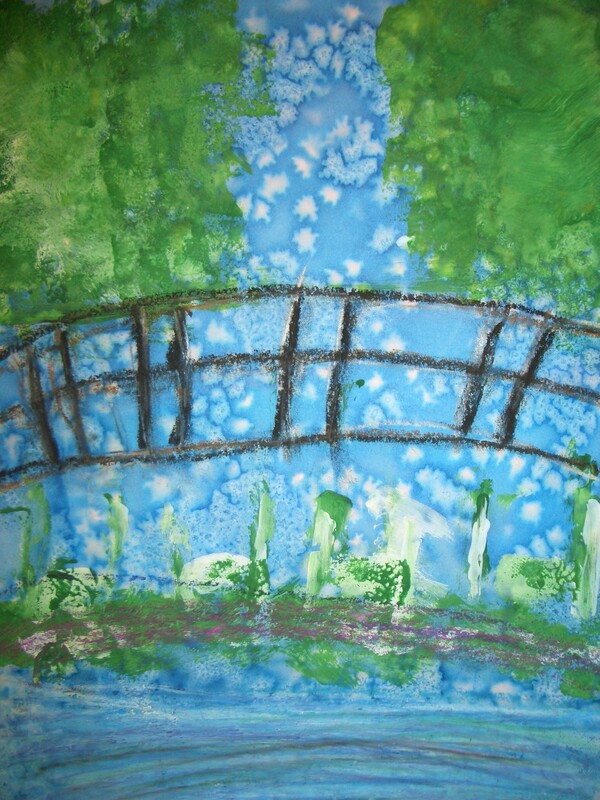 It was really a very individual process for each student which resulted in some amazing results. Thank you for your comments.